How important is it to open the door for new membership to the influential grouping, and for how many countries? The BRICS grouping made headlines recently with the Indian Ambassador to Argentina signaling the possibility of the Latin American country joining the group. Though there is no official statement about possible expansion, the debate about it is certainly timely. Since the group first met officially in the Russian city Yekaterinburg in 2009, its importance in the global arena has increased significantly. With a combined $16.039 trillion economy, it has emerged as a collective pole in the multipolar world. Whether it is crisis in Syria, Iran, or Ukraine, or the issue of reforming the international economic order, the members of the group have asserted and stood for an order not always in consonance with the one espoused by the West. The original BRIC became BRICS in 2011 with South Africa joining as a new member. The joining of South Africa was smooth without perceptible opposition from the members. The members at present are from the continents of Asia, Africa and Latin America – the three continents which are different from the continents of the North America and Europe in terms of economic growth and political clout. The rise of these continents, reflected in the formation of BRICS, has shaped the post-Cold War global order. Two of the group’s members – Russia and China – are veto wielding members in the United Nations Security Council, and all the members are fast growing economies. Despite predictions of doom, the group has survived and been strong. Though originally conceived as an economic conglomeration, the BRICS’ profile has surpassed its economic rationale and been considered politically significant in international politics. In this backdrop, the rise of the group is a foregone conclusion. BRICS has almost become an elite body. It is mentioned almost in all international debates, and its voice is counted as significant. It is, hence, natural that other nations will be interested to be part of the group. But the moot question that arises and which the members need to address: how important is it to open the door for new membership, and for how many countries? Perhaps, the case of NAM is instructive in this context. Originally conceived as an alterative to the Cold War bloc politics, the group (originally less than 30) swelled into 120. The large membership not only impacted the group’s philosophy but also its actions. Its membership included philosophically divergent countries from Cuba to Singapore. The group included democratic regimes as well as dictatorial regimes. Large membership also created large internal squabbles. Though the group is celebrating its 60th anniversary this year, it is not considered a significant multilateral body as BRICS or G20. Neither of the BRICS members will prefer the fate of NAM befalling the group. This is not to argue that the BRICS does not need to expand. The case may be otherwise. But, the members have to consider these factors before inviting other countries to join. The group is still in its formative stage. It is less than a decade old. There are many issues within the group that need to be addressed. Prime among them is the BRICS bank. Though substantial headway has been made on this issue, no concrete decision about the location of the bank, its initial capital and leadership has been taken. It will be prudent to address these issues, and also address political differences, before embarking on enlargement. It is, hence, necessary to have a guideline as to which countries fit the requirements of the group philosophy and agenda. The Russian Deputy Foreign Minister, Sergei Rybakov observed, “We have a constructive approach towards any requests of this kind, whoever sends them. That’s why any issues on further expansion of the BRICS group need to be worked out fully and thoroughly”. Though Indian ambassador made the announcement to the effect of positive endorsement of Argentina’s claim to membership, Indian government has not officially stated its position. There are debates about Argentina’s possible membership. Argentina is a key player in South America, but its economy is not as robust as BRICS countries. It has a huge foreign debt. The claim of a country to membership needs to be weighed carefully. Countries like Syria have already called for membership. The group has to be selective in their choice. Georgy Toloraya, the Executive Director of the National Committee on BRICS Studies in Russia, named Indonesia, one of the fast growing economies, and also with the largest Islamic population, as a possible candidate. Egypt can be a candidate though the internal turmoil has made its case weak. Nigeria, despite the problem of religious extremism, is one of the fastest growing economies in Africa. The richest man of Africa is a Nigerian. The Central Asian county Kazakhstan also stands in a good position for membership of the group. The country with its rich resources has enjoyed relative stability, and adopted a more nuanced approach to international issues. Some other possible candidates include Mexico, Iran and Turkey. These names are not exhaustive. The point here is the group must frame a calibrated framework in order to admit a country. In this context, they must address some of these key issues. First, it is about identity. Will they prefer to retain the name BRICS for the enlarged body, or adopt a different name to reflect group membership? Second, it is about nomenclature. Will they prefer to categorize members such as core members and new members? Will there be a provision to take action against a member who goes astray from the group philosophy? These and related issues need to be factored before enlarging the body. The next summit in Brazil will be decisive for this enlargement debate. Argentina is known for its opposition to Western dominance in the continent, so also Venezuela and Cuba, but that may not provide enough rationale for BRICS membership. 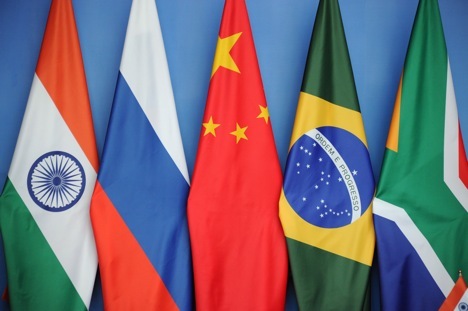 BRICS is emerging as a shaper of the world order with its economic and political clout, and the country that contributes to its philosophy and goal can be a right candidate for membership.